Tricia Carr is a healing artist in Los Angeles, CA. Drawing upon abilities as an animal and nature communicator, medium and energy healer, Tricia works with people and animals all over the world providing classes, mentoring and one-on-one sessions. Tricia holds a Bachelors Degree from the University of Metaphysics and is working on her Doctor of Divinity. Tricia is the host of Charmed Life, a live, online TV talk show/podcast that welcomes expert guest hosts to discuss spiritual topics. Tricia is a podcaster, YouTube content creator and published writer. In this special Valentine's Day class at DEN Urban Dog Retreat, Tricia will lead participants through exploring the energetic bond between dog and human. This workshop will provide a deeper understanding of how your animal is helping you in your Earth journey in this lifetime. Dogs are welcome to join their owners, but you can explore the relationship between any animal you've ever had in your life - just be sure to bring pictures! 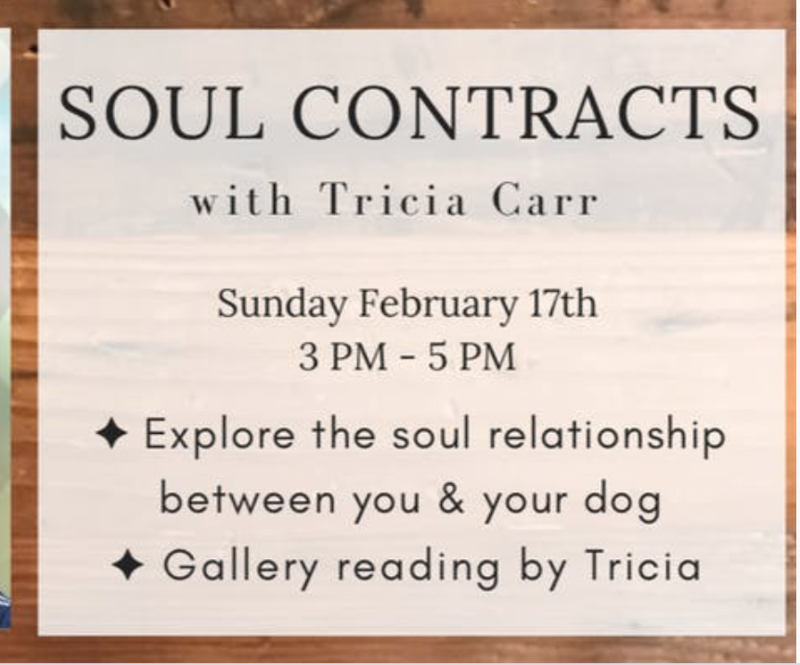 The workshop will consist of a guided meditation portion and as well as a segment where Tricia does a gallery reading for humans and their beloved animals. This experience is for you if you've ever wondered what your dog is thinking, or why they do the things they do. Join us in learning tools to deepen and strengthen the sacred bond between animal and human.